DiversityBusiness.com, the nation’s leading multicultural social media site, has recently acknowledged Reliance Wholesale, Inc. as one of the United States’ “Top Businesses” for 2014. According to the site, this exclusive ranking is a reflection of Reliance Wholesale’s overall vision, leadership and economic accomplishments in moving the US economy forward. The award, known as the Div500, represents a unique class of companies that have earned the distinction of fostering a culture of sustainable growth among the communities they serve. This year marks DiversityBusiness.com’s 14th annual listing of the Nation’s top businesses. Over 1.3 million businesses participated in this year’s program. Each year a selection committee evaluates the eligibility for all submissions in each award category to determine the “Top Businesses.” The selection committee bases its decision on a set of criteria that includes: reviewing each entrant’s business profile, website and gross annual sales submitted. The businesses selected on these lists have become highly coveted among corporations, government agencies and educational institutions that desire to increase opportunities with privately held businesses. The List is a classification that represents the top privately held businesses in the US in sectors such as technology, manufacturing, food service and professional services, according to DiversityBusiness.com. The List offers a comprehensive look at the strongest segment in the US economy – America’s privately held businesses. Large organizational buyers who do business with multicultural, small and women-owned businesses use The List. It has garnered over 20 million views annually since its inception. Reliance Wholesale, Inc. is a specialty distributor committed to providing hospital and infusion pharmacies with the pharmaceuticals they need. Reliance works with many of the nation’s top manufacturers and wholesalers to acquire and distribute vaccines, plasma derivatives, biologicals, and supply sensitive pharmaceuticals to its customers. Reliance has earned the trust of hospital and infusion pharmacies around the country with its innovative passion for excellence. With a long-standing industry presence, Reliance earned the Verified-Accredited Wholesale Distributors (VAWD) seal in 2007, a voluntary designation given only to pharmaceutical distributers who demonstrate “best practices” for ensuring product quality and safety. The certification is issued by the National Association Boards of Pharmacy. The Association established the VAWD program in 2004 as an accreditation and audit. Reliance is a minority-owned and veteran-owned business with locations in Florida and Tennessee. Like those seeking to do business with minority-owned businesses, Reliance too is committed to diversity within its own corporate structure. Learn more about Reliance Wholesale at http://www.reliancewholesale.com. Launched in 1999, DiversityBusiness.com is the largest organization of privately owned businesses throughout the US that provide goods and services to Fortune 1000 companies, government agencies, and colleges and universities. 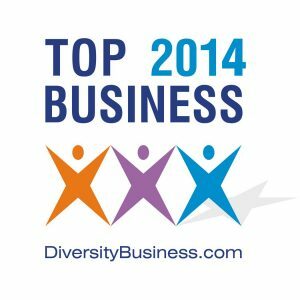 DiversityBusiness.com provides research and data collection services for diversity including the “Top 50 Organizations for Multicultural Business Opportunities”, “Top 500 Diversity Owned Companies in America,” and others. Its research has been recognized and published by Forbes Magazine, Business Week and thousands of other print and Internet publications. The site has gained national recognition and has won numerous awards for its content and design. Its e-magazine reaches over 3,000,000 readers; its e-newsletter reaches 2.4 million; and, its website has 1.2 million visitors a month. It is a leading provider of diversity management tools. DiversityBusiness.com is produced by Computer Consulting Associates International Inc. (CCAii.com) of Southport, CT, and was founded in 1980.